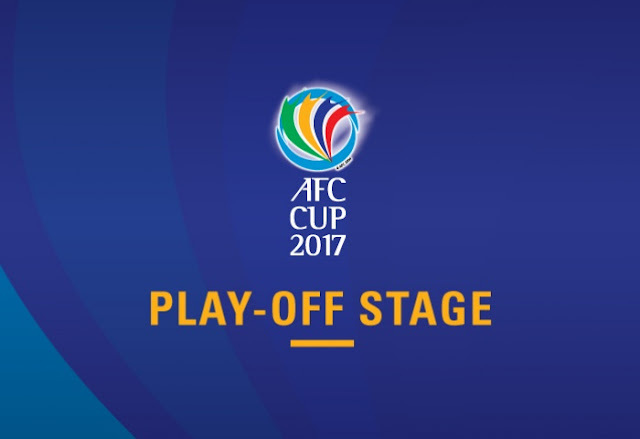 Mohun Bagan made easy work of their Maldivian opponent Club Valencia in the second leg of the AFC Cup 2017 South Zone Play-offs as they came out with a 4-1(5-2 on aggregate) victory on Tuesday at the Rabindra Sarobar Stadium, Kolkata. A brace from Jeje, one goal from Sony Norde and an own goal from the visiting side eased Mohun Bagan's qualification to the continental tournament. Jeje scored the first goal as early as the second minute of the game when he converted from the spot. The penalty was awarded when the visiting team handled a Jeje's shot inside their own box in the very first of the game. The second goal came at the stroke of half time when a driller cross from Balwant for Jeje ricocheted off Nihan before rifling to the net. Club Valencia pulled one back after half time as both Eduardo and Anas failed to close down Omodu's solo run whose thumping finish into the top corner beat Debjit. The game was sealed in the 81th minute when Prabir Das curled in a terrific cross from the right and Jeje put in a diving header as Bagan lead 4-1 on aggregate. Some neat passing from Balwant and Katsumi saw the latter finding Sony Norde inside the box and the Haitian wasted no time in finishing first time beating the opponent custodian at the near post. The game ended 4-1 in Mariners favour. The qualification to the group stages sees the Mariners feature in Group E of AFC Cup 2017 locking horns with their I-League rivals Bengaluru FC alongside Maziya S&RC(Maldives) and Dhaka Abahani(Bangladesh).